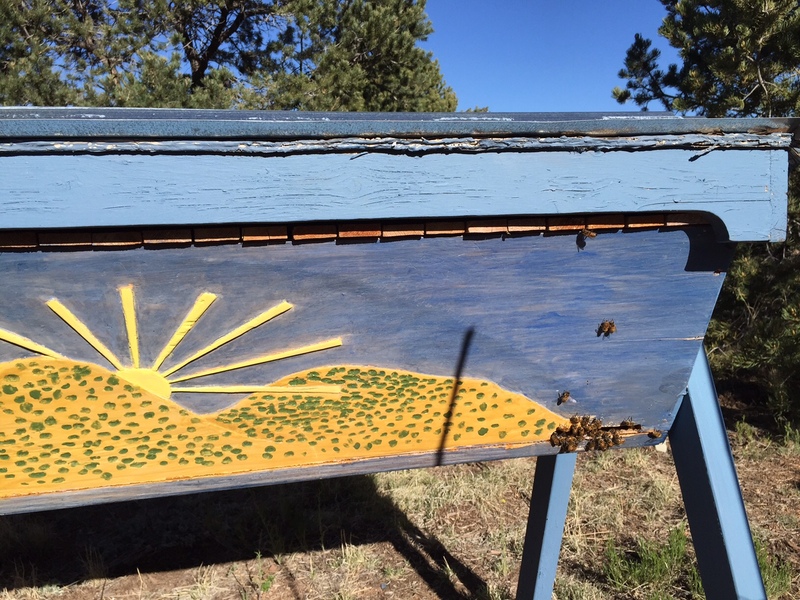 « What’s in your honey…..and what isn’t? Spring is swarm season. The queen bee has been busy laying eggs for the past couple months now, and in many hives, it’s beginning to get really crowded. When the bees sense that they are running out of room, they create three or four queen cells and once they see that the new queen larvae are doing well, the old queen and half the hive simply leave and look for a new home. After they leave the hive they will find a spot to hang out until the scouts have found a suitable cavity to build a new hive in. And that is a swarm. 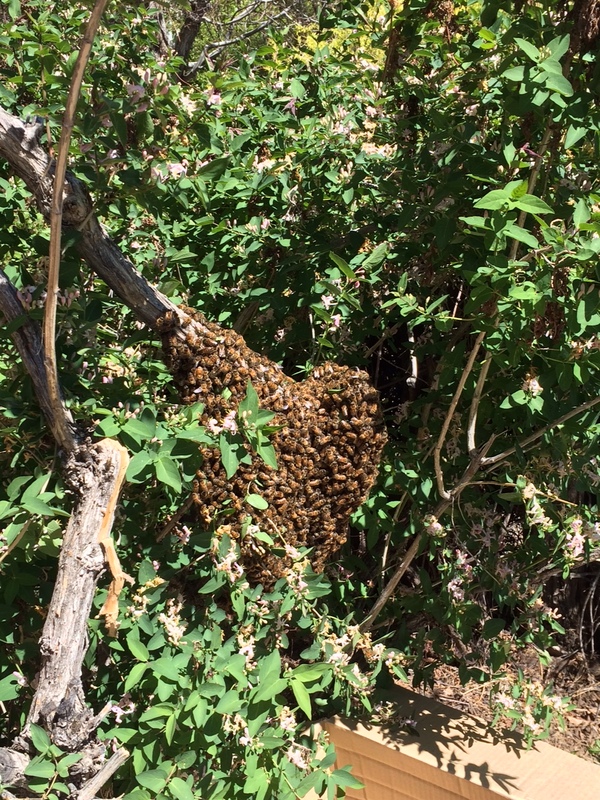 Yesterday a friend of mine who will was doing some work in a public garden looked over and saw this swarm of bees. She called me up and asked if I could capture the swarm…. “Oh yes… I’ll be right over”. OK…. I must admit. I had never done this before, but I had read all about it…. Now I was going to do it. Lucky for me the swarm was in a honeysuckle bush and easy to get to. I put a large box underneath the swarm and then gave branch a good shake. The entire ball of bees just dropped into the box. . I collected more bees off the branch by brushing them off into a bucket, then shaking them into the box. I lightly closed the flaps of the box and waited. 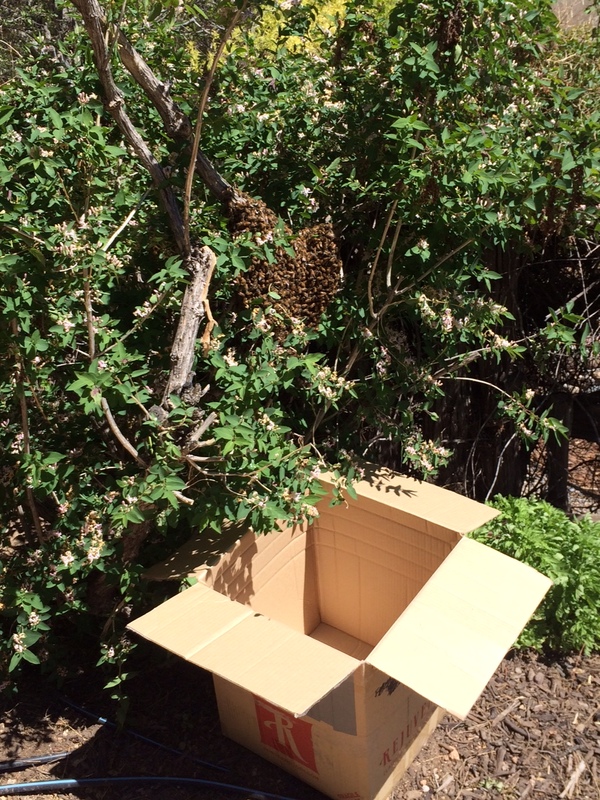 I saw that the bees were flying to the box and crawling under the flaps into the box! That’s when I knew that the queen was in the box as well. 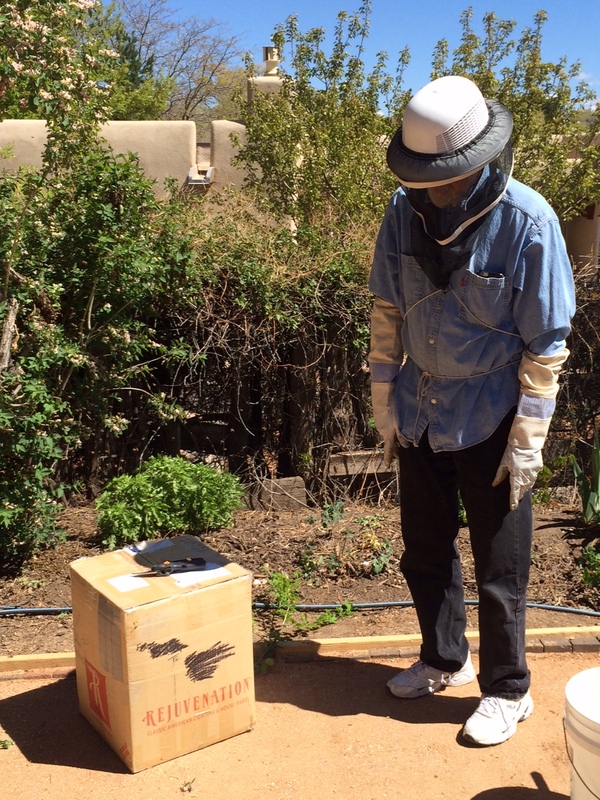 I taped up the box, drove home and gently shook them into my empty hive. I added two bars of empty honeycomb that I had saved from last year, and a bag of sugar water to give them some food to eat. Then I closed up the hive. I was just amazed at how calm and non-aggressive they were throughout the whole ordeal. The next morning, I checked on them and they were just fine. It was if they had always been there. I will check on them in three or four days to see how the queen is doing….. she should be laying eggs and starting up a brand new hive! Wow, you just got blessed…one right out of the sky..How cool is that? Rather brave if you ask me! Glad they were so docile. I just loved this story! I can only imagine how much fun you had on this new adventure. You made it sound like child’s play. The bees are lucky to have your caring touch. Wow, thatâs an inspiring story. Leslie and I really enjoyed the honey you sent. I guess the bees trust you. Weâre starting another year in our Yachats Community Garden. Already harvesting the salad crops and getting ready to plant cherry tomatoes in the cloches. Unlike California, weâve had lots of rain, although not enough snow in the OR mountains. But never a shortage of tourists.